Steven Selde is the ASC Association's (ASCA) assistant regulatory counsel. In this position he assists with ASCA's regulatory and legislative activities and outreach with an emphasis on health IT related issues, and serves as a liaison for the ASC industry to federal agencies and U.S. Congress. He can be reached at sselde@ascassociation.org. Q: Is the Medicare Access and CHIP Reauthorization Act of 2015 (MACRA) likely to bring ASCs closer to having their own EHR certification standards? Steven Selde: MACRA creates an opportunity for the Centers for Medicare & Medicaid Services (CMS) to modify certain aspects of EHR certification standards, and to further explore comments received in response to a published request for information (RFI) regarding current certification and reporting requirements. ASCA's comment in response to the RFI provided certification criteria for an ASC-specific certified electronic health record technology (CEHRT), highlighted compliance issues the current Meaningful Use Program imposes on ASCs, and requested an outpatient surgical facility measure classification to enable comparisons across outpatient surgical settings. EHR will play an important role in MACRA's two tracks: the Merit-Based Incentive Payment System (MIPS) and alternative payment models (APMs). Additionally, this review process may prove to be an avenue for CMS to revisit the lack of an ASC-specific EHR and address the issues that many professionals that practice in ASCs face. Q: What do you see as the value of ASCs having their own certification standards? SS: Trends in healthcare such as MACRA indicate that the ability to communicate patient data across sites of service is becoming more critical. As data integration becomes more commonplace, ASCs with CEHRT will be much better suited to deliver high-quality care to their patient populations. Given the move towards electronically sharing data, ASCA feels it is important for the ASC community to develop its own EHR criteria rather than relying on the government or another entity to develop the criteria. In addition, quality measures for hospitals and eligible professionals (EPs) do not provide pertinent data for ASCs to improve their quality of care, warranting specific ASC standards. Furthermore, current meaningful use penalties incentivize providers to deliver care in hospital outpatient departments rather than ASCs, even though ASCs are the clinically appropriate care setting. ASC-specific CEHRT would help curb this by encouraging EPs to perform appropriate procedures in the ASC. Additionally, measures from an ASC-specific CEHRT could be used to develop an outpatient surgical facility measure classification and provide much needed comparisons between the two settings of care. 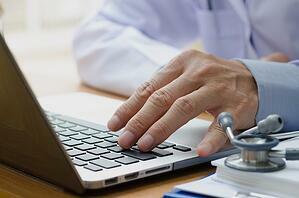 Q: Is there anything new to report concerning the Electronic Health Fairness Act? SS: The Electronic Health Fairness Act has received tremendous support in the House of Representatives and Senate during this legislative session, with both the House and Senate proposing versions of the bill. The House version was incorporated into a smaller legislative package that the House ultimately passed, and the Senate passed its own standalone version. The Electronic Health Fairness Act was not in a small package of Medicare-related legislation that Congress passed in December 2015, but the activity around the bill increased our legislation's profile on Capitol Hill as well as with other stakeholders. ASCA continues to work towards passing the Electronic Health Fairness Act in this next legislative session. ASCs can advocate for their Representatives to support this legislation, or ask their senator to introduce similar legislation, by sending an email through ASCA's Action Center at www.ascassociation.org/takeaction.